ODC Design was appointed by Betfair in October 2011 to undertake and review 3 potential properties to set up their operations for the next 5 to 10 years. After a review of building infrastructure, services and location, ODC Design recommended to Betfair to remain at 459 Collins Street. The client is one of the main betting and gambling organisations in Australia, therefore the internal IT infrastructure and technology needed extra attention from the communications room to the 24/7 trading room were the critical elements of the design. 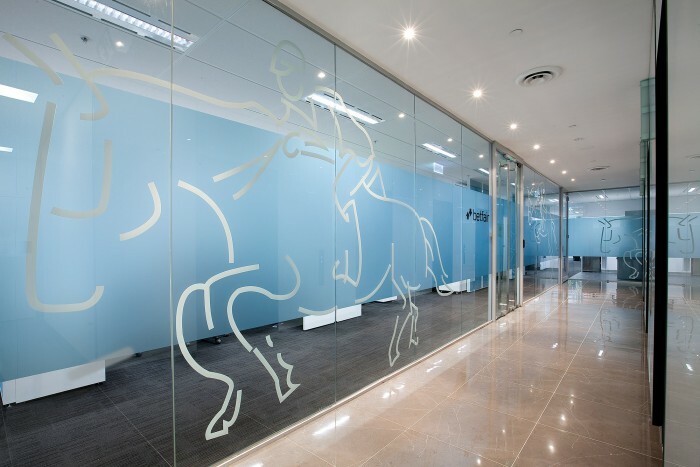 Our collaboration with Betfair IT internal staff along with our electrical, audio visual and data contractors, we were able to deliver the project to the expected and highest standard. ODC Design was engaged to undertake space planning, interior design, documentation and construction of the Betfair new office. In conjunction with Betfair fit out works, ODC was carrying out intergrated base building works for Julliard’s Group of Companies.